Who would have thought that those hashtags on Pinterest would pay off? Well they do. You’ve probably found that there is a lot of competition out there when trying to rank organically in certain popular markets. Not only are you up against the best of the best that know their stuff but then there’s the other group of inexperienced SEO users with their optimization tactics. This is why turning to Pinterest is a great idea. 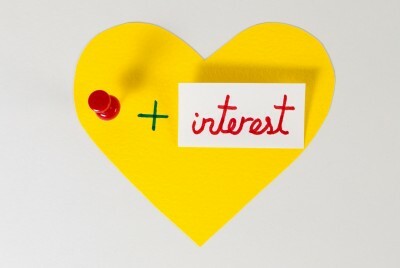 There are a few different ways you can utilize Pinterest to increase your rankings. First you will need to identify a keyword or phrase that you’re looking to target. Don’t push it with three or four. Stick with one and be realistic. Remember there is a lot of competition out there so be selective and don’t choose a keyword that you won’t stand a chance in ranking. Once you’ve established your keyword or phrase, you’ll need somewhere to keep everything. Pinterest has pinboards and you will need to create one. Your pinboard should be relevant to your keyword. Use your keyword or your phrase in the title but then also search for any visual elements to pin on your board, too. Now you are ready for the hashtags. Everything you pin to your board should have hashtags. For those of you who are new to this, it’s the pound sign. If you are using multiple words, for a phrase, place a dash between the words. For example, Midwest collection agency would look like #Midwest-collection-agency. Be careful to not write in a way that resembles spam and keep keywords to a two or three word minimum. Pinterest and hashtags can be amazing for your rankings as long as your selected keyword or phrase is in each name and description throughout your pinboard. If you’re not sure which keyword to choose, or which ones are too competitive, contact us to develop some great ideas on utilizing keywords in the most effective way using Pinterest as your tool. This entry was posted in Pinterest Content Marketing, SEO and tagged hashtags, hashtags on Pinterest, keywords, pinboards, pinterest, Pinterest keywords, Pinterest to boost SEO, SEO, SJC, social media, social media strategy, social media tools, Susan J. Campbell Copywriting Solutions, utilizing keywords. Bookmark the permalink.